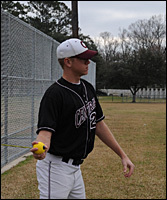 The Pre-Cord is a simple but effective tool for pre-game warm-up of the arms and shoulders prior to baseball, tennis, golf and other shoulder-intensive sports. 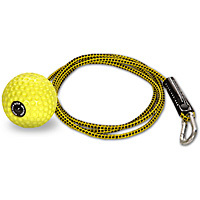 This fun-to-use stretch cord allows you to place a controlled amount of force on your muscles to prepare them for subsequent high-intensity efforts. Every self-respecting athlete warms up before competing, because that's the best way to insure top performance. This is especially true for shoulder-intensive sports like baseball. 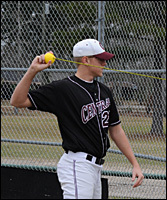 The Pre-Cord makes shoulder warm-ups both more effective and more convenient. Its compact, one-piece design means no wasted set up time, it can be used almost anywhere, and it takes up very little space in your equipment bag. 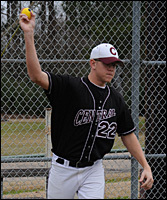 Warm-ups increase blood flow to your muscles and neurologically prepare your body for high-speed, high-force movements. 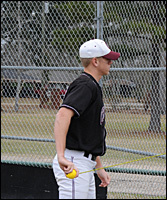 Warm-ups are especially important for your shoulders, since they're the most unstable joints in your body. Their structure allows you to move your arms in a nearly infinite number of directions, but each motion requires your nervous system to coordinate the actions of more than a dozen different muscles. Temporary failure of any of those muscles can create unbalanced loads on your shoulder joints, and ultimately lead to injury. By warming up the muscles under lighter loads, you prepare them for more intense efforts and greatly reduce your chance of injury. 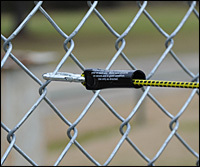 The snap hook allows you to attach one end of your Pre-Cord to a stationary object, such as a fence, tree, or pole. 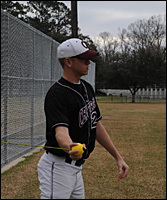 Make this attachment at a height near shoulder level, and be sure that it's completely secure before beginning your warm-up exercises. 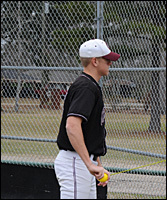 Face away from the stationary attachment, and hold the ball as if you were getting ready to throw it. 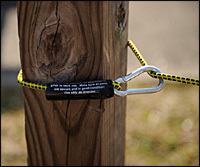 Step far enough away from the attachment to create a slight tension in the stretch cord. 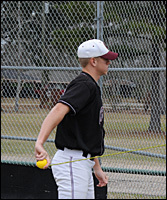 Without letting go of the ball, slowly move your arm through your normal throwing motion, pause, and then reverse the direction of your arm until it's back to its fully cocked position. Repeat this motion several times in a fluid, controlled manner. 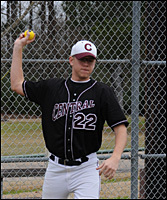 As you repeat your throwing motion, make slight changes in the direction of movement. Picture an imaginary clock in front of you and aim for different positions, letting your movement slowly progress from overhead to sidearm. Then switch hands and repeat for your other shoulder. The forward movement described above best conditions the muscles on the front side of your shoulder that propel a ball forward. 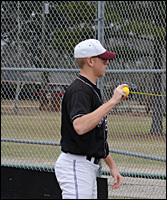 However, there are also muscles on the back side of the shoulder that are equally important to athletes. 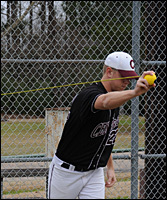 These muscles stabilize the shoulder during throwing movements. To directly condition these muscles, turn your body 180 degrees, so that you're facing the stationary attachment. 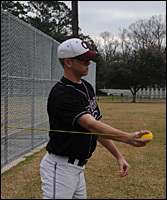 The motion for this exercise is simply the reverse of the forward movement. 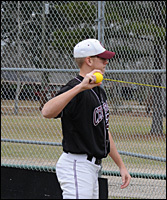 Start by holding the ball at arms length in front of you, and then pull it back to your cocked throwing position in one slow, fluid movement. As with the first exercise, repeat several times in slightly different directions.